Origins 1500 / 2000 pocket spring in Super king size, is the 2000 too firm for a 6ft2 105kg Male side sleeper, currently suffering with back pain and hip pain. Dear John & Ryan, I have come across your website and I need to ask a question. I am 6ft2 105kg Male side sleeper and I have recently been suffering from lower back, hips and upper back/shoulder pain. This started about 6 months ago, and I returned a 4-year-old premier inn super king as the mattress had dipped both sides and the support in the lower back/pelvis area had reduced beyond a suitable comfort level. I then tried a Sealy 1400 geltex box top pocket mattress from QVC and this was fine for a month and then the geltex top again lost all support in the same lower back area causing me severe lower back, upper back and hip pain (this has now been returned). I am now trying the Emma original and I am finding this too firm for side sleeping and the pain I currently have is not really improving. 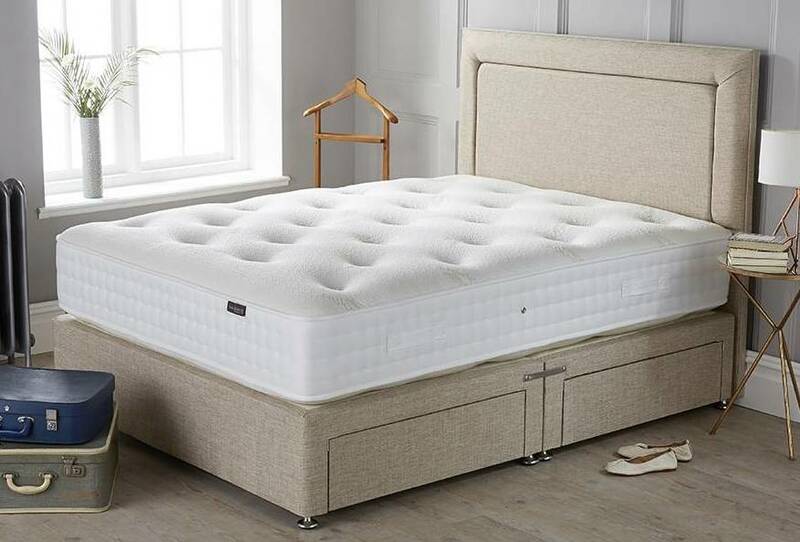 I see the origins 1500 pocket spring in super king size could potentially be much more suitable for me, but I am just wondering whether I should try 2000, due to my weight and height and I really don’t want another mattress dipping (like the premier inn Hypnos). Would the Origins Pocket 2000 still feel like a medium comfort for my weight and keep my spine aligned nicely. 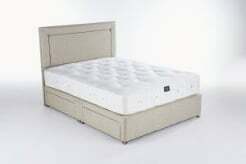 I am concerned that 1500 would not be supportive enough, but I don’t want a really firm/hard mattress as I sleep on my side (but always wake up on my back). I have sought help for my back pain and have started seeing a chiropractor to help ease my back pain as it turns out I am really stiff in the upper back area, this is probably compounded further with having a young toddler and lots of bending and twisting (bath time etc..), so I do need a mattress that is going to aid recovery from daily life. There were genuine problems with both Hypnos and Sealy mattresses (irrespective of my situation and playing with my young son). My wife is much lighter than me (75kg), but I would rather not go for a zip and link at this moment in time. Any advice would be greatly appreciated. Thank you very much. Thanks for taking the time to provide this in-depth information for us to be able to help you, I will certainly try my best to help you out! As you are experiencing back pains this would suggest that you aren’t being supported enough by the spring system that you are using (may not be firm enough). So you are absolutely correct in looking at the Origins Pocket 2000. This at the given height and body weights you have provided will provide yourself with the right support. This will, however, in turn, be too firm for your wife at her body weight. The Origins Pocket 1500/2000 zip and link would be the most suitable option for you both to both be adequately supported by the springs. This would still then give you a medium comfort layer. If you did not want to go to the zip and link option, then you could take a look at the Artisan Naturals. This range of mattresses allows you to have a medium/firm spring support that is required for you both in a one-piece mattress. The Artisan Naturals is a good true medium mattress in the comfort layer as well and being 85% natural fibre, it is also very breathable. From there if you get back to me with how you got on, I’ll be able to point you in the right direction.